Shipmeadow is memorable, not least for the name. As the village sign is at pains to point out, it is really a corruption of sheep meadow, but that did not dissuade the crop circle enthusiasts of the 1970s and 1980s from noticing that it is a close neighbour to the village of Ringsfield, and so Ringsfield and Shipmeadow became a focus for their investigations into a surprising number of crop circles. It seems unlikely that the Anglo-Saxons deliberately named their settlements with the intention of attracting flying saucers a thousand years later, but in any case The X-Files came along, and consequently our expectations of the paranormal have become a bit more sophisiticated and demanding. Even so, I am told that there is still one farmer in Ringsfield who cuts a circle into his crop each year and then lays on an ice cream van for tourists. The tower is late, right on the eve of the Reformation, and it stands against a church which looks rather more of the 13th Century, although there was an extensive 19th Century restoration. 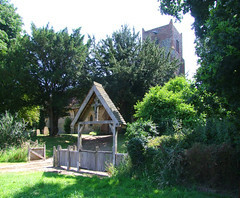 It is a good East Anglian church on a small scale. The village itself is not large, and straggles for a bit along the busy Bungay to Beccles road. Seeing the handful of houses today, it may come as some surprise to discover that at the 1851 census, when the population of rural East Anglia was reaching a peak, Shipmeadow parish had 515 people living in it. In fact, 375 of these were inmates of the Wangford Union Workhouse which sits half a mile or so above the road. The Rector of Shipmeadow was also chaplain of the Workhouse, for which he received a stipend of £45 a year, about £9000 in today's money, not bad for a weekly walk up the hill. 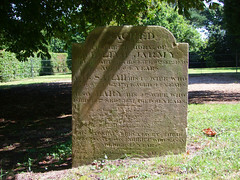 The Rector at the time of the 1851 Census of Religious Worship was one of the Sucklings of Barsham, a family who oversaw the late 19th Century Anglo-catholic revival in the Waveney Valley. 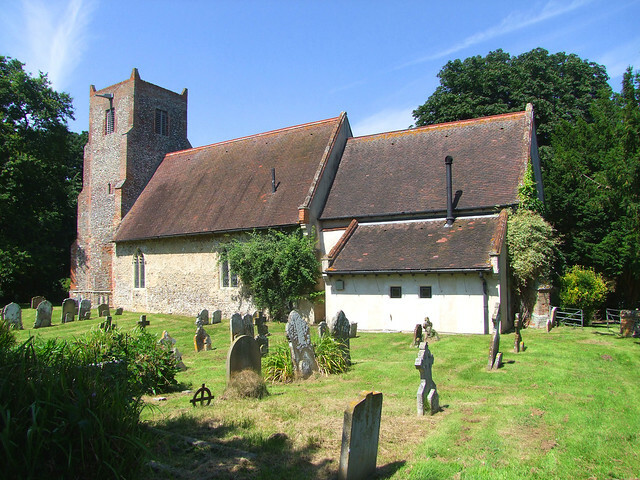 Shipmeadow church was one of their flagships, and as at Barsham the architect for the job was F C Eden. 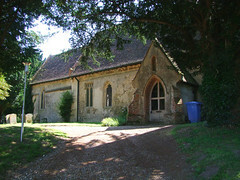 But in the 1970s, Shipmeadow church was declared redundant. In a brief flirtation with lunacy, the Diocese of St Edmundsbury and Ipswich sold off about a dozen medieval churches for conversion into residential use, and the furnishings were dispersed. Shipmeadow's ended up at Barsham, Rumburgh and Claydon, among other places. Shipmeadow church underwent a gentle and, Pevsner's revising editor thought, a sensitive conversion. 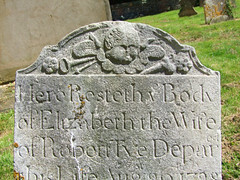 The current residents have also been sympathetic. 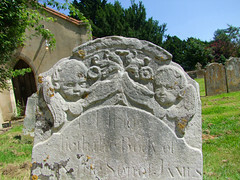 Indeed, it is hard to tell at first sight that it is no longer in use as a church, and the churchyard is still accessible for those who want to visit graves. 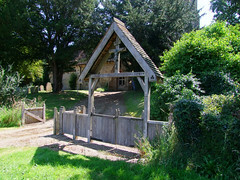 Still in situ is the lychgate memorial to the parish's World War One dead, six boys who failed to come back. 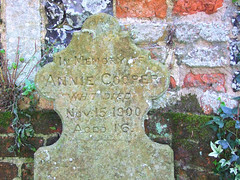 The church still stands as a sentinel on the busy road, the graves of the Shipmeadow dead all around, and all in all it continues to be a touchstone to the past life of a typical rural East Anglian parish. 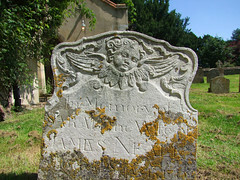 Worth stopping for a look and a think for a few moments, and then, to escape the busy traffic, take the narrow road down to the Waveney which heads off opposite the church.